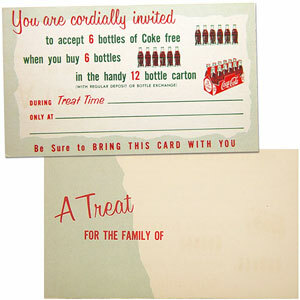 Take a look at these vintage originals – coupons, boxes, programs and more – all from the ’50s and ’60s, when a bottle of Coke was just a dime. Back then, it was common for brands to sponsor high school and college sports programs by producing generic flyers and inserts. These artistic “ads” featured stellar illustrations and typically great design, making them an awesome piece of Americana to put on display. Some Coke programs were sport-specific. For example, an insert for basketball would feature illustrations of players in action, accompanied by a legend of common ref calls (like traveling or free throw counts). 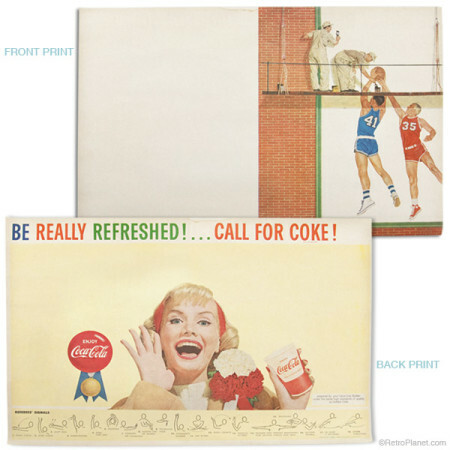 1960 Coca-Cola basketball program insert. Art by Fred Fixler. At the movies, Coca-Cola would share advertising on popcorn bags and boxes, reminding folks that their treat goes “Good with Coca-Cola”. 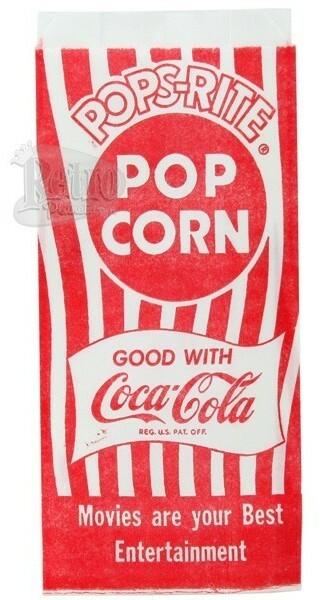 Advertised as a noiseless bag, this 1950s Pops-Rite Coca-Cola popcorn bag makes a great addition to any collection. Can’t get enough of these vintage originals? There’s more listed at Retro Planet’s Coca-Cola section. Do you collect unique Coke advertising items? We’d love to hear about your collection and see images.